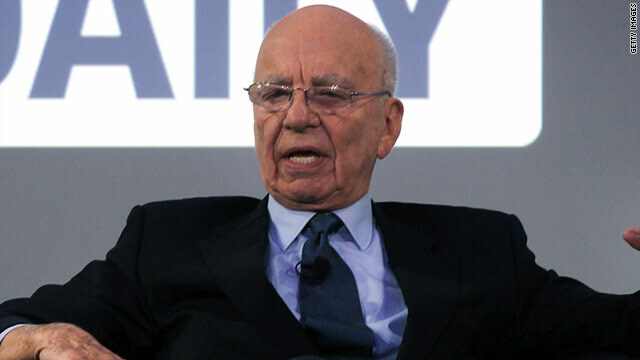 Rupert Murdoch's vast media organization encompasses a host of newspapers and broadcasters across the globe. (CNN) -- The phone-tapping allegations that forced the closure of embattled British tabloid News of the World may have a damaging ripple effect across Rupert Murdoch's vast media empire, according to some analysts. Thursday's dramatic announcement that the 168-year-old tabloid would now be shut down followed accusations the paper had illegally eavesdropped on the phone messages of murder and terror victims, politicians and celebrities. There is no evidence -- or claims -- that the same methods have been employed by other titles within Murdoch's News Corporation group -- which includes the New York Post and Wall Street Journal in the U.S. and The Australian and The Daily Telegraph in Australia. However it is not beyond the realms of possibility, according to David McKnight, Senior Research Fellow at the Journalism and Media Research Centre at the University of New South Wales, who has written extensively about News Corporation. "News of the World is not an island," he said. "News Corp has a very distinctive internal culture. They see themselves as an isolated band of crusaders putting the world right." This pursuit of a goal at all costs, said McKnight, reflects the personality of Murdoch himself. "He sees himself as a rebel and a contrarian, someone who stands up for the little people against the liberal elite. "So when senior editors and journalists circulate within corporations such as News Corp, it is feasible that these practices go with them, popping up elsewhere." But this scenario was quickly dismissed by John Hartigan, CEO of News Limited -- the Australian arm of News Corporation which owns 70% of the country's newspapers. He issued a statement Friday saying events at News of the World "do not reflect what News International is about," and that the phone-tapping revelations are a "terrible slur on our craft." He then referred to the News Limited code of professional conduct, which "is the guiding principle to everything we do." On Wednesday, Rupert Murdoch himself called the allegations against the paper "deplorable and unacceptable" and his son, News International Chairman James Murdoch, in announcing the shutdown of News of the World on Thursday said that the scandal "sullied" the newspaper and has "no place in our company." Whether any of Murdoch's titles have ever indulged in the darker journalistic arts or not, Margaret Simons, a prominent commentator on Australia's media, says the News of the World revelations will give News Corporation some unwanted publicity at a time when Sky News, which it part-owns, is bidding for the Australia Network -- a free-to-air international broadcasting service serving 44 countries -- from the Australian Broadcasting Corporation (ABC). News Corp has a very distinctive internal culture. They see themselves as an isolated band of crusaders putting the world right. "Politically the dominant Murdoch press has an extraordinary amount of influence which is largely uncontested," she said. She said one of the country's two main daily broadsheets, The Australian, has been accused of waging a campaign against the current minority government. This led Communications Minister Stephen Conroy to adopt a policy of publically releasing both question and answer whenever he is interviewed by a member of the Murdoch press. "He's on the record as saying he does that to make it impossible for the information to be distorted," she said. According to Simons, this negative publicity may embolden other Australian politicians -- who feel they've received unfair coverage -- to challenge the power of News Limited. "In Australia this has always been a brave political act," she said. What about the lasting damage to News Corp's reputation in Australia and around the world? "It's too early to tell," said McKnight. Former News of the World editor Andy Coulson is facing police questioning over whether he had any knowledge of the alleged hacking practices during his tenure. In a 2007 court case, Clive Goodman, the royal correspondent for News of the World, and Glenn Mulcaire, a private investigator, were jailed for hacking into the messages of members of the royal household and others. Coulson denied any wrongdoing but resigned saying, as editor, he took "ultimate responsibility." This is hugely embarrassing for Prime Minister David Cameron who hired Coulson as his communications chief, only to see him resign over the allegations earlier this year. Opposition leader Ed Miliband called on Cameron to admit the "appalling error of judgment" he made in hiring Coulson. For his part, the Prime Minister has said he had decided to give Coulson a "second chance" when he made him as his communications head, "but the second chance didn't work."